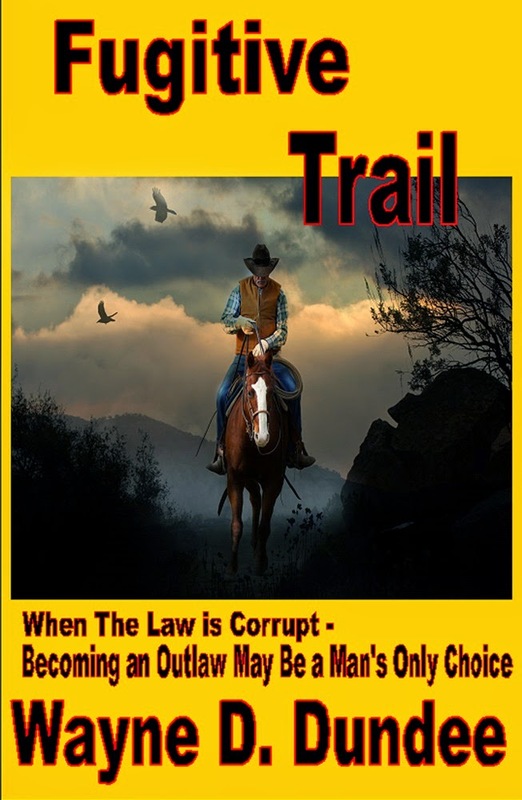 PAUL BISHOP ~ WRITER: WESTERN PULP: FUGITIVE TRAIL! A hardened, battle weary Civil War vet returns home after the fighting … to an unfaithful wife and a trumped-up murder charge! The choice between facing a hangman's noose or going on the run as an outlaw isn't a hard one for Eli Cole to make. But when a grieving, vengeful father offers a huge personal bounty—not for Cole's capture, but for proof of his death—the swarm of manhunters and mercenaries this stirs up dramatically increases the odds against staying alive on the fugitive trail. Peacemaker Award-winning author Wayne D. Dundee spins another gritty tale filled with action, raw emotions, and memorable characters. Sure to send readers in search of other work featuring the Dundee byline.